Gmail sing in. Google have a more service. Google email service is one of them. You can use Google maximum service, if you have a Gmail account. At first you need to sign in gmail account before use. 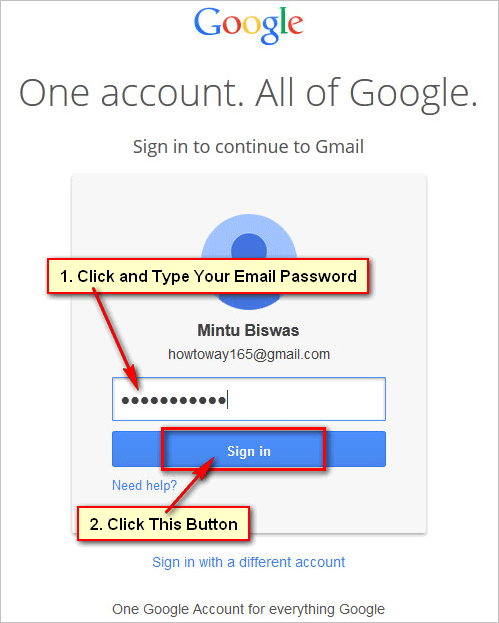 Learn how to sign in Gmail account on Google new interface. Open Gmail website. Open your any web browsing software, type your web address bar google.com and press Enter button from your keyboard or click web browser address bar arrow icon to open Gmail website. Click Gmail button. You will see Google home page with a Google search box and few buttons. 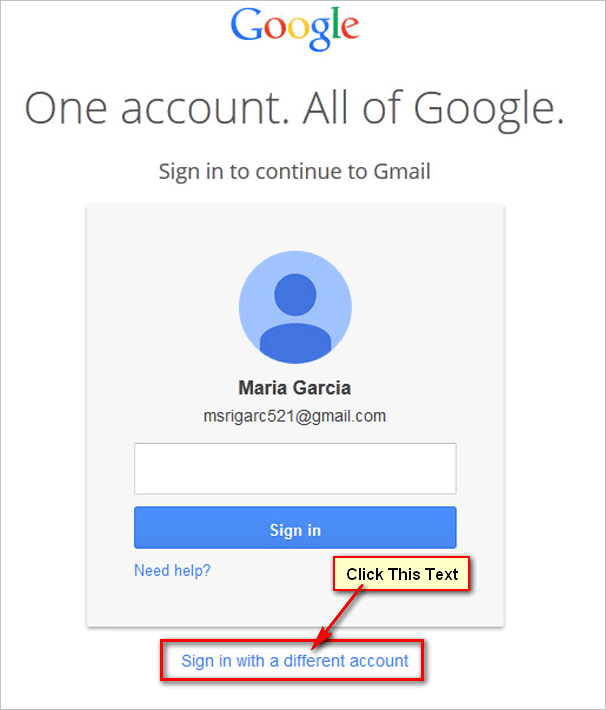 Click Gmail button to login your Gmail account. Google log in page. Google log in page will open with Sign in button. 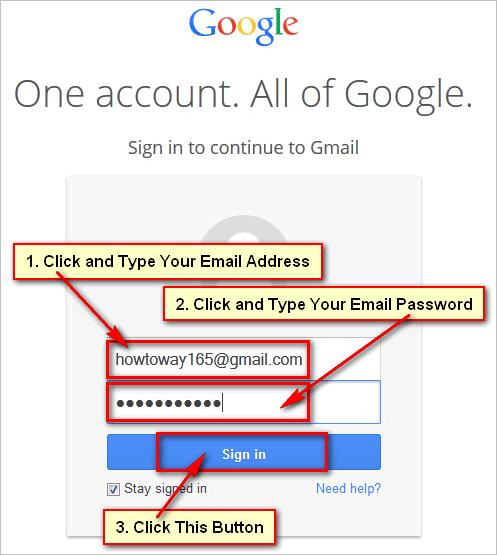 Click Sign in with a different account text to login different Gmail account. Add Gmail account. 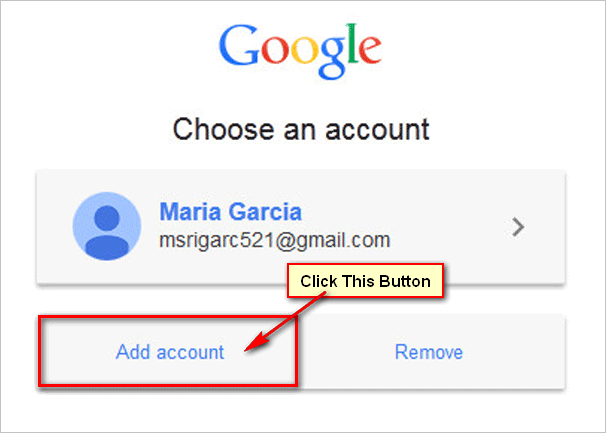 Click Add account button to log in your own Gmail account. Gmail login page. You will see Gmail login page with Email, Password blank box and Sign in button. Click Email box and type your gmail address. Click Password box and type your gmail address password. 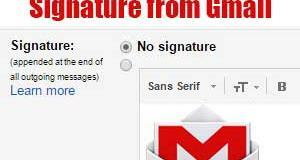 Click Sign in button to sign in your gmail account. After this process you will see your Gmail account mail inbox with your incoming email list. Open Gmail website. 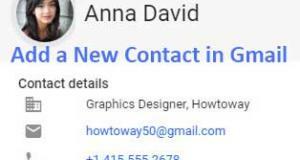 Open your web browser, type your web address bar google.com and press Enter button from your keyboard or click web browser address bar arrow icon to open Gmail website. 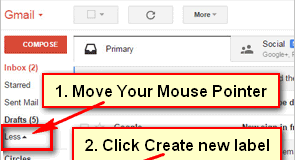 Click Gmail button. You will see Google search box with and few buttons. 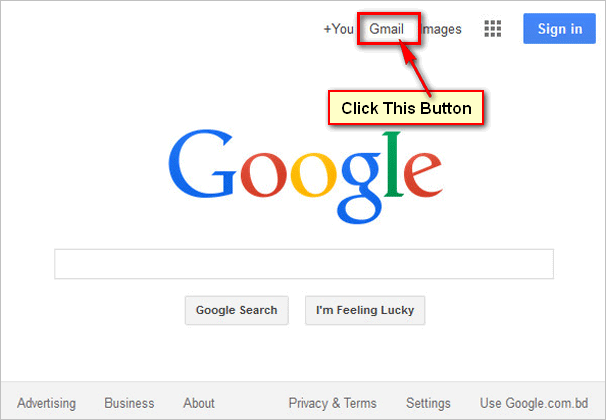 Click Gmail button to sign in your Gmail address. Gmail login page. Gmail login page will open with your recently used gmail address lists. Click up to your name with your email address from this list. Which account are you want to login. Gmail address and password. Click Password box and type this email address password. 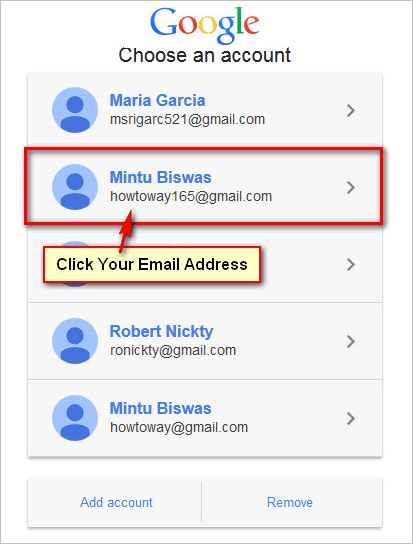 Click Sign in button to sign in Gmail account using this email address. Gmail mail inbox. Wait hare few seconds after that you will see your Gmail address mail address with your incoming mail.